Are you living the SWUGLife? 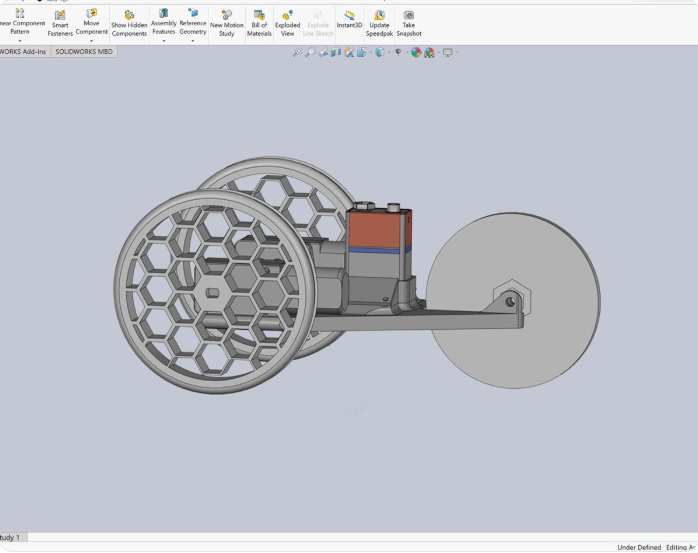 Will you be at SWW19? Do you want to help EKGAR? What do all of these acronyms mean?!? SWUG is “SOLIDWORKS User Group” – If you are truly living the “SWUGLife,” you probably spend a good portion of your time with the SOLIDWORKS Community. 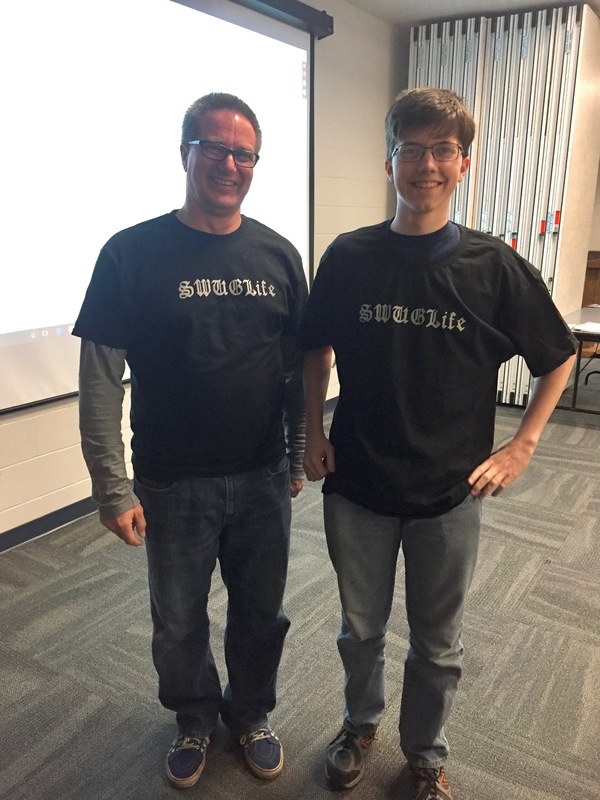 SWUGLife was created when User Group Leader Kameron Smith commemorated the lifestyle by putting a sweet logo on a t-shirt. SLUGME is “SOLIDWORKS Largest User Group Meeting Ever” – This is a once a year event when User Groups from around the world all come together and log-in to see one of the UG Leaders give a presentation. 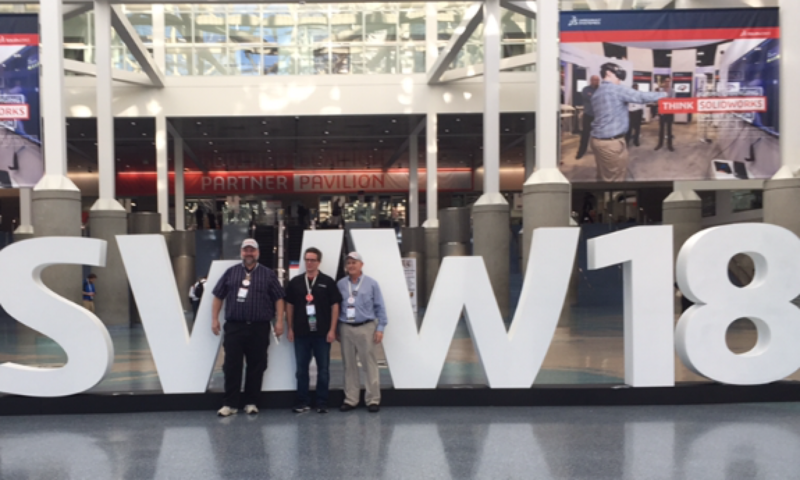 SWW19 is “SOLIDWORKS World 2019” – This is the annual gathering for everyone that has a passion for all things SOLIDWORKS, and is on the journey to learn as much about the software as possible. EKGAR is “Every Kid Gets A Robot” – This is an absolutely amazing concept put together by recent high school graduate Danielle Boyer. I found out about her work on the SOLIDWORKS blog last July. I thought this was such an incredible story, because I often find myself asking “Where were all the robotics teams’ way back when I was in high school?” Instead of just asking the question, Danielle stepped up and made it happen! Here is a ‘sneak peek’ at the latest concept that will help bring the cost of a robot from $50 all the way down to $20! Here is what brings all of these acronyms together . . .
For SLUGME 2018, Kam put the SLUGME logo on the back of the SWUGLife shirt, and we made it available to everyone. The winner of the SWUGLife shirt at SLUGME! But that is not all . . . EVERY dollar raised from selling the t-shirts is being donated to EKGAR! We are going to do one last big push before SWW19, so that everyone can get their shirt before they head to Dallas, and I will be able to present Danielle with a check to help her push EKGAR to the next level. All proceeds from the shirts that are sold will be donated to EKGAR! These shirts make great giveaway items for your next meeting! If you are interested, you can also donate extra using the link below. Hope to see you wearing one of these shirts in Dallas!